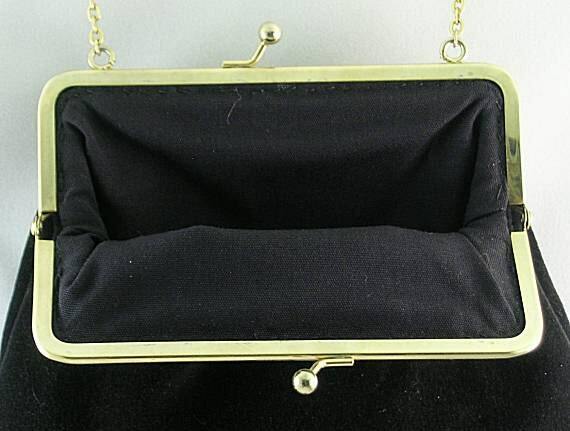 This black velveteen purse is fully lined and is carefully sewn to a gold tone metal frame. Attached to the 5" wide straight edge frame is a shoulder chain that measures 16" when it is folded in half, ready to hang from your shoulder. The purse measures approx. 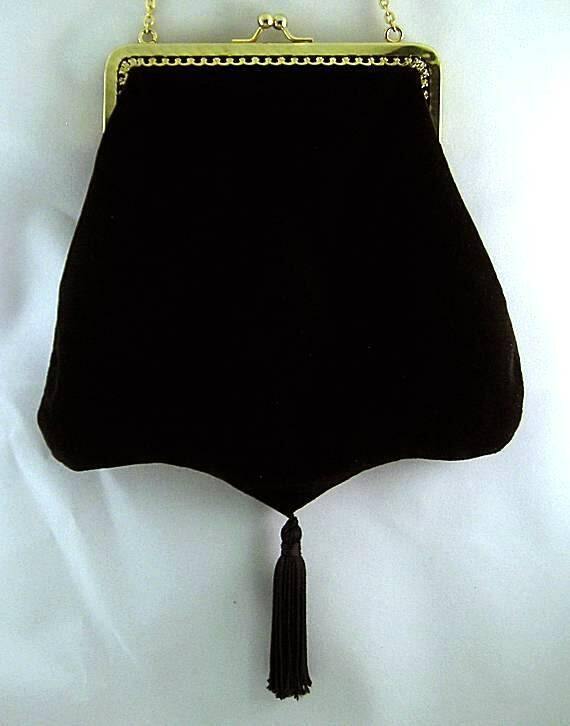 7 1/2 inches wide and 7 inches deep, not including the point on the contour bottom or the 3" tassel. 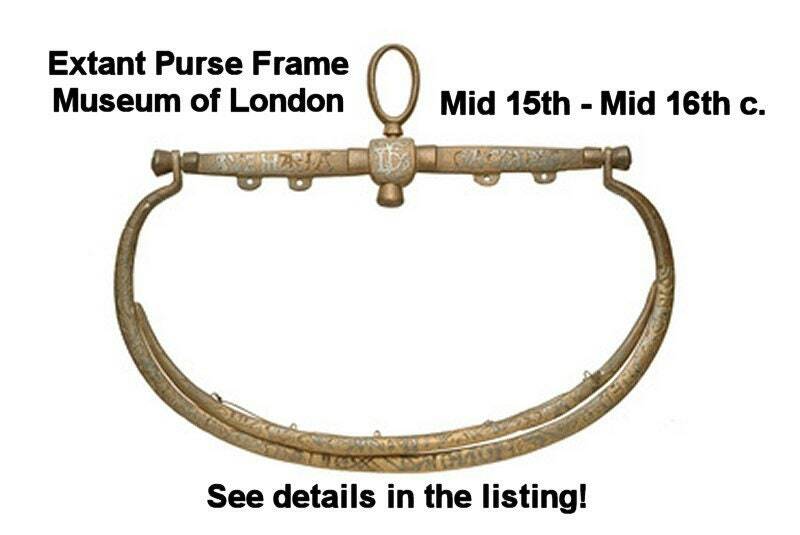 Framed purses date back to the Renaissance when some were very ornate, with huge clasps; while others had very simple clasps. This one is less ostentatious, yet dressy enough to be an excellent accessory for your prom, ball or court wear.